Organisms in the water, especially saltwater, attach to slick surfaces like a boat’s hull. It doesn’t take long for a boat hull to become slimy with algae. Algae pave the way for adherence of other organisms. The general term for organism on a boat hull is fouling. Fouling makes boats drag, use more fuel and harder to maneuver. Invasive organisms spread by hitching a ride on the underside of a boat. Millions of tiny shellfish called barnacles form a crust on piers, rocks and boat hulls. Barnacles cut the speed of a boat by up to 50 percent. In days past, pirates would tip over their ships on beaches to scrape off barnacles. Barnacles cost modern shipping industries a large amount of money every year due to cleaning, loss of time, extra fuel and wear-and-tear on machinery. Invasive Japanese seaweed called "wakame" spreads to other countries via boat hulls. Discovered on a hull in Cornwall England in 2010, its appearance resembles Elizabethan ruffles. Although wakame is edible and commonly used in soups and salads in Japan, it is invasive and disrupts the natural ecosystem, according to the BBC website. Didemnum vexillum, a type of sea squirt, grows rapidly and smothers natural habitats. It has a distinctive orange/yellow color and spongy texture that feels leathery but not slimy. It resembles dripping wax when attached to surfaces. This sea squirt exists in New Zealand, northern Europe, the U.S., Canada and Japan. Polychaete worms produce calcium carbonate coral-like structure on hulls, propellers and rudders. The European fan worm is a polychaete that covers marine pontoons. Along with polychaete worms, the gelatinous invertebrates salps and pelagic attach to hulls and get drawn through the cooling water intake, damaging an engine. Thick infestations on hulls can easily slow down a boat. 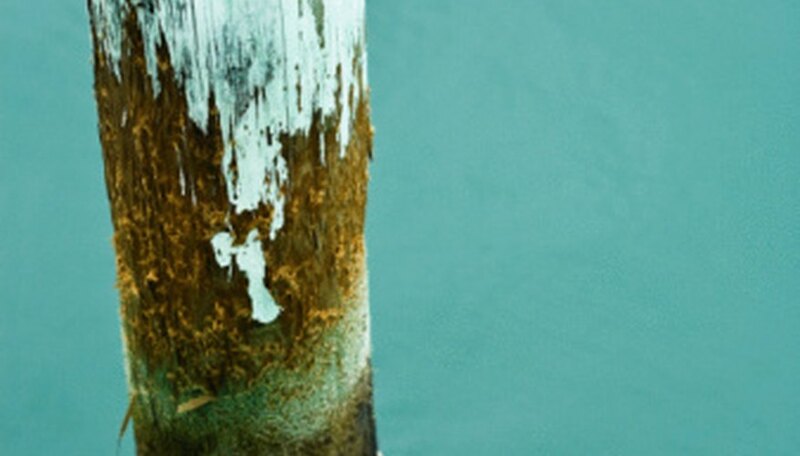 Sometimes applying anti-fouling paints to the boat can help reduce the number of fouling organisms. Zebra mussels attach to different types of surfaces, such as fiberglass, aluminum, wood and steel. Microscopic larvae, called veligers, enter boat engines and settle in the cooling system to grow into adult zebra mussels. Adults block intake screens, internal passages, hoses, seacocks and strainers. When mooring a boat, it is best to lift the engine out of the water and/or use a boat lift to remove the entire boat from the water when not in use.